Hodor vs Groot Rap Battle Because Why Not? 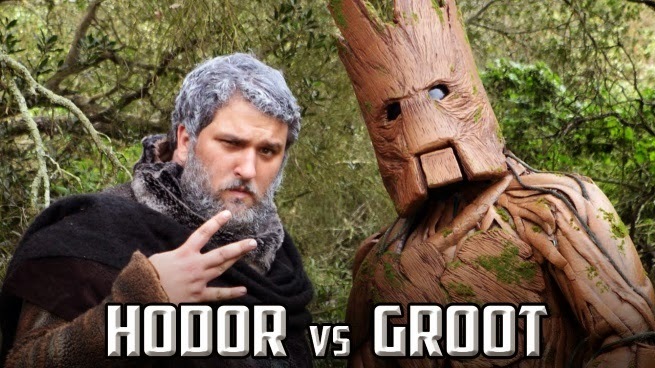 In the least likely of rap battles you could think of, The Warp Zone went ahead and pit Hodor against Groot anyway. The lyrics are as limited as you'd suspect but after watching it the first time put on the subtitles for the most NSFW subversive verbal beat down between a monosyllabic brute and a tree ever.